Borderline people can be manipulative, just like narcissists, but unlike sociopaths or psychopaths, they do have a conscience and are capable of love. Often, however, their love is twisted, oriented more to feeding their egos (like narcissists receiving “supply”) than truly focusing on the other person. They are good at making themselves look “too good to be true,” seeming to be interesting in everything you are. Some borderline individuals will lie about their accomplishments in order to impress others; other borderline individuals find it difficult to tell the difference between appearance and reality. The latter group can go into a dissociative state and not remember what they did during that state. If you quote the borderline’s statements to you to his family and friends, often they will stare at you as if you are crazy–because the BPD person told you that something happened that, in truth, did not happen. BPD individuals, like narcissists, psychopaths, and sociopaths, often have a great deal of charm, which they use to their advantage. But the advantage is only temporary as people pick up on the fact that the BPD person “ain’t quite right” as we say in the South. Instability in jobs and instability in relationships may lead to the BPD going through multiple jobs quickly, moving many times, and going through multiple marriages. All relationships are unstable. The borderline person is afraid to lose anyone in his life, yet does not realize that his behavior drives people away. 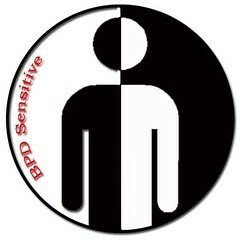 Sadly, the BPD individual is usually miserable inside and lonely, desperately wanting a friend. Most BPD persons do not recognize that their behaviors drive away other people; others may recognize that fact, but believe that their traits are essential for their emotional survival. That points to the greatest problem borderline individuals have in overcoming their disorder: a failure to take responsibility. So many mental problems are due, in part, to someone believing they are the slave of fate, that given one’s background, one cannot help the way he is. For that reason, he refuses to take responsibility for his actions and blames others for bad things that happen to him. The most difficult obstacle psychologists and psychiatrists have dealing with borderline people is the borderline’s refusal to take responsibility. The borderline often tries to manipulate the therapist. Sadly, many affairs with therapists occur that way. One psychologist told me that of his fellow therapists who fell into affairs, probably over 95% of the lovers were borderline individuals. Since flirtation gains the borderline attention and helps with low self esteem (which only masquerades as high self esteem), many borderlines are extremely flirtatious. Not all will go to the point of a full-fledged affair, but many do. BPD usually has its origins in childhood. Oftentimes, childhood sexual abuse by a parent or stepparent is the cause–though this is not the only cause. BPD usually manifests in a person’s teens. Some borderline individuals spontaneously recover in their forties; others never recover. Therapy is notoriously ineffective, although newer cognitive methods work better than previous therapies. It is a joke among psychologists that the way to harm an enemy psychologist is to refer a borderline patient to him. If the psychologist can get the borderline person to admit that he is not the slave of forces beyond his control and that he is able to change, the major step toward recovery has occurred. Are borderline individuals sick or evil? Some borderline behavior seems to be evil: the lying, the manipulation, the willingness to say or do almost anything to get what one wants, the sudden turns toward absolute hatred. I know of one therapist (not my therapist) and one person who works in the criminal justice system who consider borderline people to be evil. In my opinion, most of them do not begin as evil, though, like any human being, they may become evil due to habituation. They are trying to survive something that hurt them so much as a child that they believe that their behaviors are the only way they can survive in the world. They may believe that if they did not behave the way they do that they would fall apart–indeed, their personalities seem to be fragmented. These sad, frightened people need to be guided toward healing–but they must be willing to get help and be serious about it. To anyone who may have this disorder: I pray for them to get help, to engage in positive behaviors that support solid relationships with others, and to find peace in their lives. Thank you for the pingback–your article, as I said in my comment on your blog, is right on the money. Thank you for your ping. Stop Walking on Eggshells is an excellent book. Borderlines are not cut out of the same cloth–you’re right that not all have a habit of lying. But from experience with others I know that some do. I do not think that a sufferer from BPD can change without help, but I do think the sufferer has a responsibility, for loved one’s sake, to go to counseling to at least ease the effects of the condition. Sha, thanks for the reply, and thanks for your kind comments about my post. I hope it is educational and helpful to others either on the receiving end or those suffering from BDP. Loved the article. My babies father has BPD I suspect. Complains of abandonment from his family. Goes from extreme clinginess to cursing me out because I am the anti-christ and cant love him enough. He has a history of drug abuse, leaving jobs, mood swings. I always fear he will twist my words around to make himself a victim, so I avoid communication, which makes it WORSE!!!! He does have poor impulse control and has a habit of stealing…is this normal for bpd? He also cant handle a check book because he spends his money instantly. I dont want to leave him but staying isnt an option either because he keeps inventing scenarios to be a victim just to scream at me and push me away (but says I PUSH HIM AWAY!!!!!) Isnt THAT ironic? Is this typical of BPD? He is also VERY charming and can be very loving as well, but as I have known him always seems to be depressed and bored. Any suggestions and does this sound like bpd? You know i have BPD but i dont lye i was lied to mutch to as a kid i do know some good borderline who have taken contoll of there life a really good example is the woman who broght out dbt. She had borderline personality disorder to some times i think its to easy to just say they have bpd they are bad from my end not all BPD are bad. Kevin, some borderlines have made the choice to take control of their lives–good for them, because I’m sure that takes a great deal of strength. I do not believe that that subset of borderlines who end up hurting people mean to hurt them. You are also correct that not all BPD sufferers are manipulative, and not all lie. There are some, however, who do lie and are manipulative–again, I don’t think they mean to hurt anyone–my guess is that their actions are similar to a panic reaction to deal with whatever haunts them from their past. I wish you the best of luck in your personal struggle against BPD. How Narcissism Breeds Evil In Our World Today | Ask "Video News Net"
Thank you for writing this blog. I have experience with a borderline and I also have hope for healing. The good thing about BPD is that recovery is possible with perseverance as I point out in my book. The borderline I know can be so loving and caring, I only hope the best for her and for all other borderlines. I hope they find that healing is possible. Thanks for your reply, Marilyn. Some borderlines can be helped–the rub is how to motivate them to understand that they have BPD without blowing up in anger, and how to encourage them to get help. Treatment methods have improved immensely in the last ten years, but the BPD individual has to desire to get treatment and to stick with it until it has lasting positive effects. Healing is possible. To me it required the suffering of a heartbreak to become into a great realization I had a year ago. I realized that the only person who was hurting myself, was me with my thoughts. I suddenly realized how untrue my thoughts were. I wrote to my ex and thanked him for this realization, though he had no idea what this meant for me. After that experience though, I could say, it’s unlikely for me to fall into depression like it was in the past. If I were to go into a relationship again, I’m very sure it’ll be much less complicated as my past relationships were. I believe that with the right tools, a bpd person can heal and I recommend something that would make them question their thoughts and believes. Thank you for your post, Anonymous. Yes, healing is possible, and more BPD people are being helped than ever before. I pray for healing for the BPD person I know. I have not given up hope.